Winemaking starts in the vineyard, and it’s important to understand that picking the grapes at the right time is key in making good wine. That decision is usually a joint decision made by both the vineyard manager and the winemaker. If the grapes have been picked by hand, they’re typically brought in from the vineyard in small plastic crates stacked upon each other. If the grapes have been machine harvested, they’ll usually come in piled in a stainless steel “trailer” attached to the harvester. Often as they’re brought in they’re sprayed with a solution of sulfur dioxide (SO2), to inhibit oxidation and the growth of nasty bacteria that can give the wine a nasty odor and potentially spoil it. 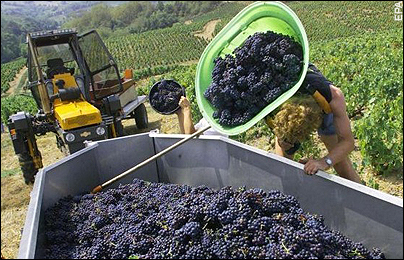 If the grapes are treated this way the wine can’t be labeled organic, although some wineries use “organically grown” grapes which is considered a positive and sustainable practice. 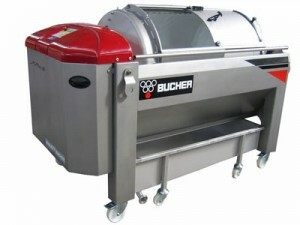 Either way, they end up in a de-stemmer/crusher, which does just what it says – takes the stems off the grapes, and gently crushes them which causes their juice to flow. Now, If it’s a white wine we’re making there’s another step here – the slightly crushed berries are typically placed into a bladder press, a big machine that has what amounts to a balloon inside. The balloon is inflated and pushes the fruit against a cylinder, pressing virtually all the juice out. That collection of pulp, skins and seeds is then discarded, and only the juice goes into a large tank called a fermenter, typically a tall vertical cylinder made of stainless steel. If we’re making a red wine, then we don’t use the press—yet. Instead we put the slightly crushed grapes including the pulp, skins, and seeds in the fermenter along with the juice, and the pressing occurs later in the process. 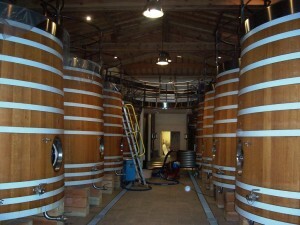 Some wineries, although probably only a small percentage, use other types such as oak or glass-lined concrete “egg” fermenters. But in any event this is when the magic turning grape juice into wine begins, although if you’ve worked in a winery you might not think it about it that way. Now, yeasts are always present on grapes, and a few wineries allow these endogenous wild yeasts to do their stuff, but that’s a crap shoot for a number of reasons, such as just not having enough of them to complete the process, which can result in a so-called “stuck” fermentation. 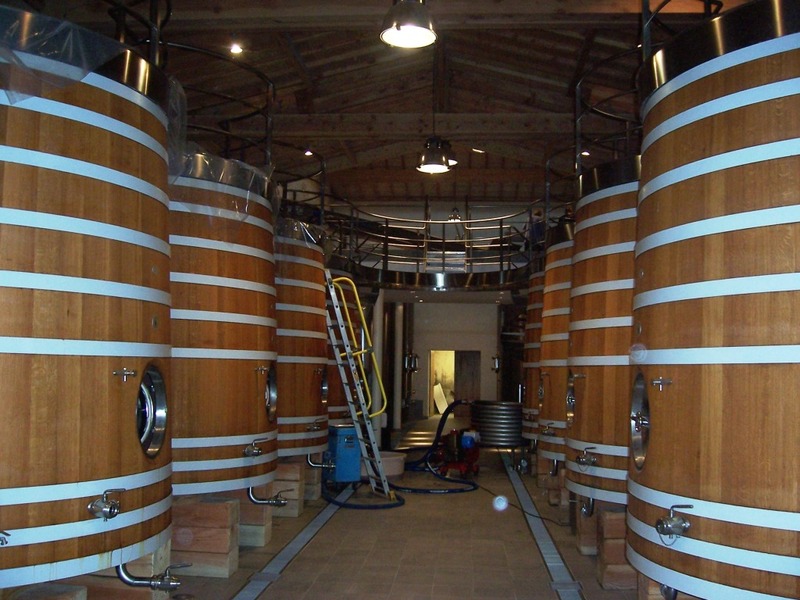 So, most commercial wineries, even small ones, add cultivated yeasts to start the fermentation process. These yeasts, strains of the Saccharomyces cerevisiae, are supposedly tailored to individual types of grapes, the style of wine that the winemaker’s going for, and even the specific grapevine clone used. What happens in the fermenter is magic but it’s also pretty simple in terms of the outcome, which is what matters. Basically, the yeasts feed “anaerobically” on the grape sugars present in the juice, converting them to alcohol, and also producing carbon dioxide and heat. 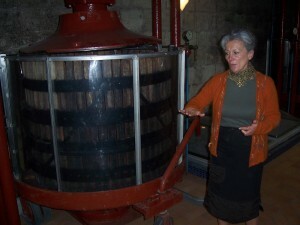 One of the main differences between red and white wine making is that the juice is fermented with a “cap” of grape skins, seeds and pulp at the top, which traps heat. This is important, because yeasts are finicky and demanding little things and they prefer a temperature of around 105 degrees, and that’s why you’ll often find cooling jackets built into fermentation tanks. 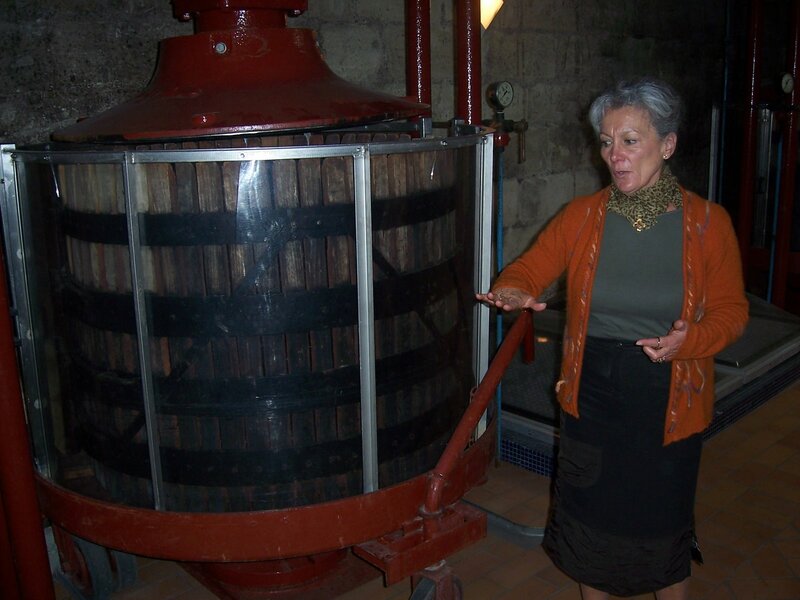 When the winemaker is satisfied that the fermentation is complete-based on a whole bunch of measurements that she or he takes through the process-either the fermentation is stopped by artificial means, or it simply stops naturally. The artificial means include chilling the wine to a temperature that makes the yeast inactive, or using a centrifuge to remove the yeasts. The fermentation will stop naturally when virtually all the grape sugar has been converted to alcohol, or when the alcohol level in the wine rises to the point that it kills the yeast, depending on its tolerance level. Either method will preserve the residual sugar in the wine, which can range from very little which you can’t taste, to a significant amount, say, above 2.5 percent residual sugar. This isn’t listed on any bottle and it’s not something you can really understand unless you’re a winemaker or familiar with chemistry. For sure, though, you can taste the difference between a relatively sweet table wine such as White Zinfandel or German Auslese Riesling, and a truly dry wine. Here’s where red wine making really differs from white: that cap of skins, seeds and pulp is removed and pressed, releasing very concentrated juice with a very high proportion of tannins and color, and the compounds that give the wine its unique flavor, called flavonoids and phenols. This is then added to the based red wine. The next major step is the malolactic fermentation, which doesn’t add alcohol but instead converts tart malic acid into softer lactic acid, and also produces carbon dioxide. 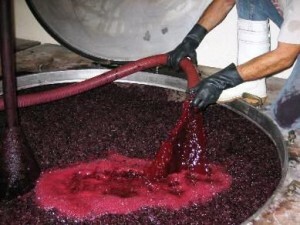 This process makes the wine “rounder” and is generally done for reds that are meant to be aged. Malolactic fermentation will often happen by itself, but it can be induced as well with so-called lactic acid bacteria. Wines that get this step usually get a little less sulfur dioxide, as S02 will inhibit the process. While we now have a fully-fermented wine, we have more to do in most cases. 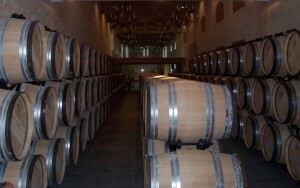 Most red wines and some white wines are moved into oak barrels, where they begin to settle and age. Oak is especially prized for its ability to add add flavors and complexity to wines, depending on the type of oak (French and America oak are the favorites) and the “toast”, the degree to which the barrls have literally been toasted by a flame while they’re being assembled. More toast, more flavor. Depending on the winemaker, over the next few months or a year perhaps, the wine is methodically moved from barrel to barrel in a process called “racking,” and each time the wine is clarified more as particulates sink to the bottom of the barrel. Of course, over time some wine evaporates, and this wine is continually replaced to allow just a small space called ullage to remain at the top. 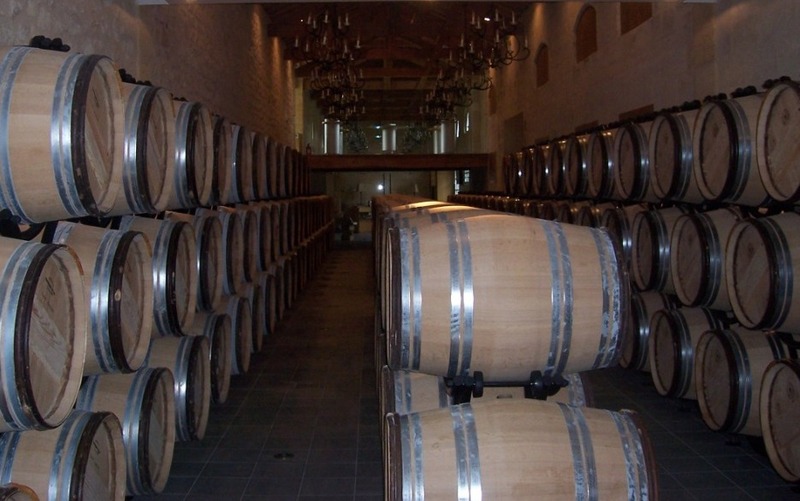 After the final racking, many wines are aged for months or even years in barrel, often in so-called “neutral” barrels that have previously been used for many years, and therefore unlikely to add significantly more flavors. If the finished wine is to be a combination of different wines, such as Cabernet Sauvignon, Cabernet Franc, Merlot and Petit Verdot in a Bordeaux, those wines are blended together and then often further aged in barrel. Finally, some wines—not all—are clarified even more just before bottling using two processes, fining and filtering. 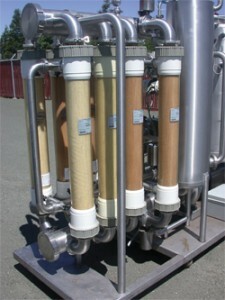 Fining removes large particulate matter by adding certain compounds to the wine such as bentonite or isinglass. These stick to the particles suspended in the wine, causing them to fall to the bottom of the container, and the clarified wine in then drained off. Filtering is just what it says, typically forcing the liquid through a membrane with openings as small as 0.2-micron, effectively removing all remaining yeast and most bacteria. Many winemakers oppose filtering and believe that it can remove elements that contribute to the wine’s essential flavors and aromas, so this needs to be done sparingly and judiciously. One final step that some winemakers take before bottling white wines is cold stabilization, which is again pretty simple and just like it sounds. The finished wine is put back into one of those stainless steel fermenters on its max cold setting for a couple days, causing the crystals of tartrate in the wine to freeze and stick to the sides of the vessel. These crystals are harmless and in fact, some winemakers say that they should be left in, but they can look like shards of glass so most of the time they’re taken out. 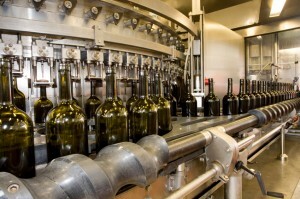 Bottling is the final step, and bottling lines can be simple or complex. The best and most expensive ones do a whole bunch of things: fill the bottles with wine, add a little dose of nitrogen to keep the wine fresh (in that small space between the top of the wine and the bottom of the cork), add the cork, place the foil around the top and finally add the label. 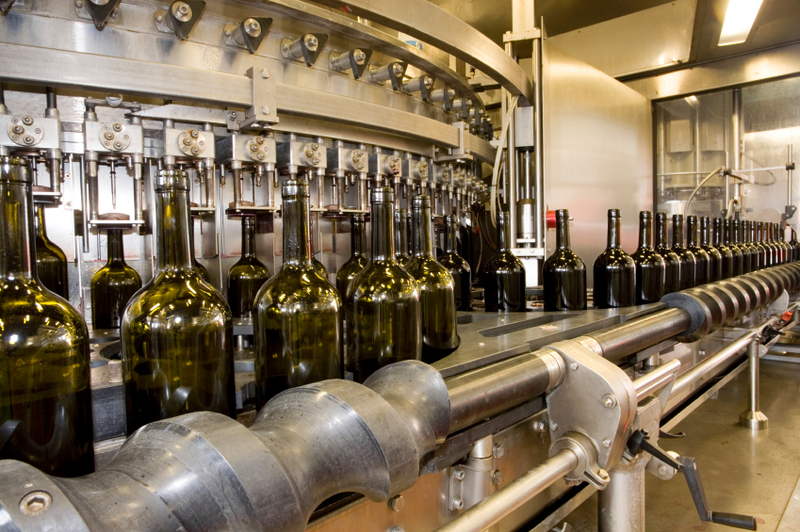 The system then moves the bottles to the end of the line in a warehouse where they’re placed in cases of 6 or 12, sealed and prepared for delivery.